Today at 4 p.m. Eastern time, the New Orleans Hornets will announce a new name and logo[s]. There's no mystery to the name - that was reported as being the Pelicans long ago. The logo? That's another story. Fan-made concepts have been pouring in ever since the initial reports last month. We absolutely loved some of them, and in general the designs were pretty good, showcasing the potential of a name that, to put it mildly, not everybody loved. The poster who shared the logo also shared a screencap of a rendering of the logo on a hat. This set off more than a few BS detectors because the logo wasn't centered on the hat, as one would expect it would be in an official rendering of the result of a crucial branding decision for the future of a franchise valued at $340 million. Again, grain of salt. But now that we've established proper skepticism, it's time to ask: what do you think of the logo, aesthetically? Us, we think it's okay, nothing special. Could be worse, but could be better. The emphasis is in the wrong place: the wings are the most prominent feature, whereas what really sets pelicans apart are those beaks. 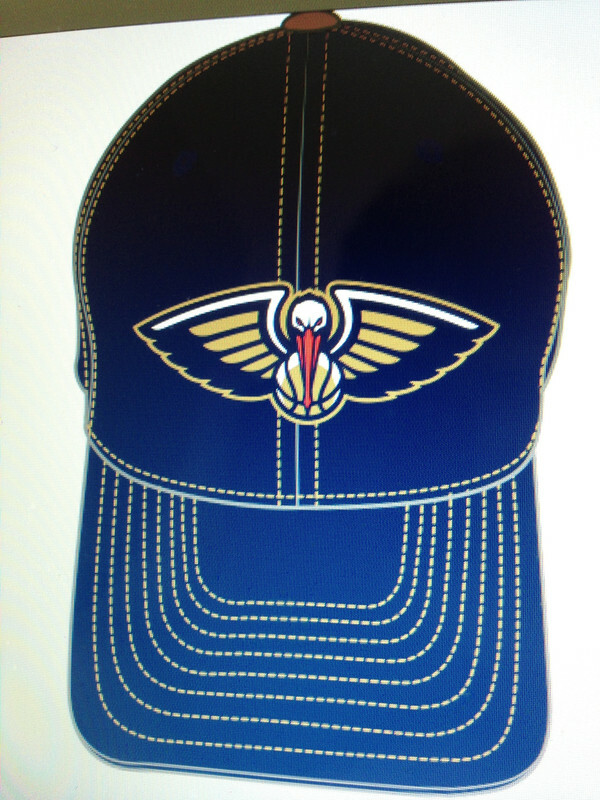 In general, the best of the fan logos had side views of pelicans, accentuating the beaks much more than this one does. The result is something more vanilla than great (vanilla enough, in fact, that some Tigerdroppings posters thought it was a sign the logo was real). This, as you can see, bears more than a passing resemblance to the logo seen near the top of this post, so it's now safe to say that this will indeed be the Pelicans' logo, or at least one of them. Nice find, Chase.